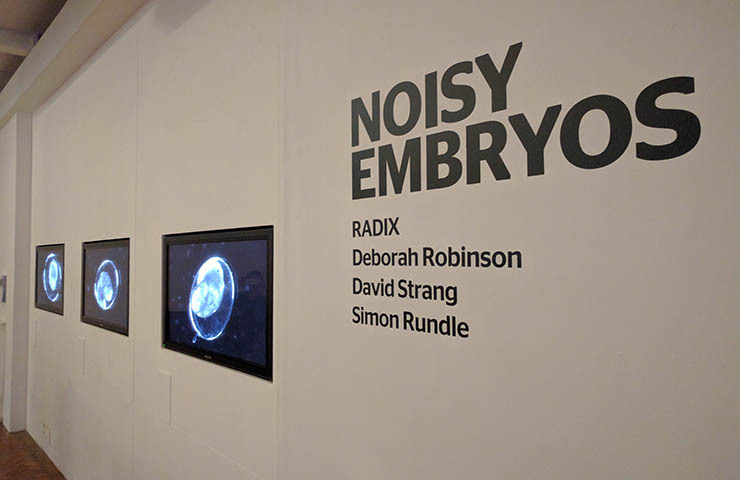 The Radix collaborative group is made up of David Strang, Deborah Robinson and Simon Rundle at Plymouth University. 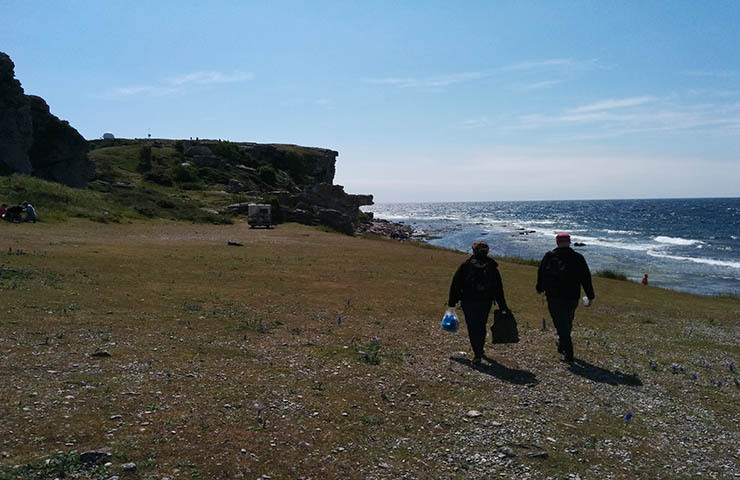 In June 2015, RADIX collaborators, Deborah Robinson and David Strang, artists, and Simon Rundle, biologist, carried out interdisciplinary field work during a residency at the Baltic Arts Centre (BAC) on the Swedish island of Gotland. 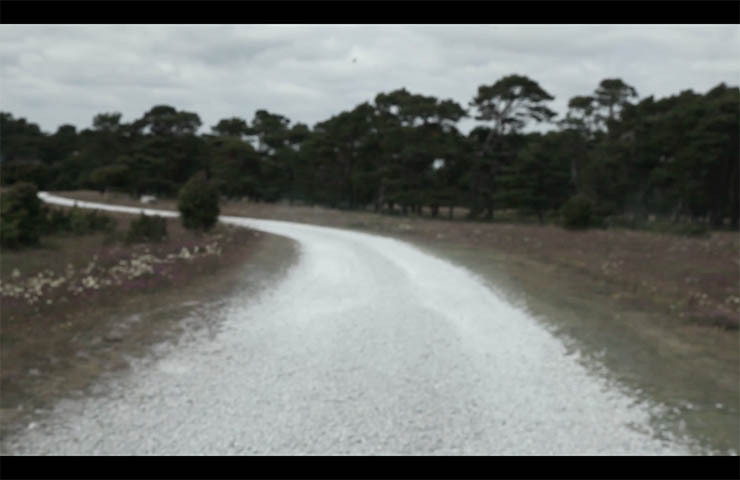 The fieldwork on Gotland, extends a long-term, interdisciplinary research collaboration by RADIX during which time several artworks have been produced. These drawn on collaborative and artistic processes as a means of inquiry into how knowledge is constructed through scientific investigation. 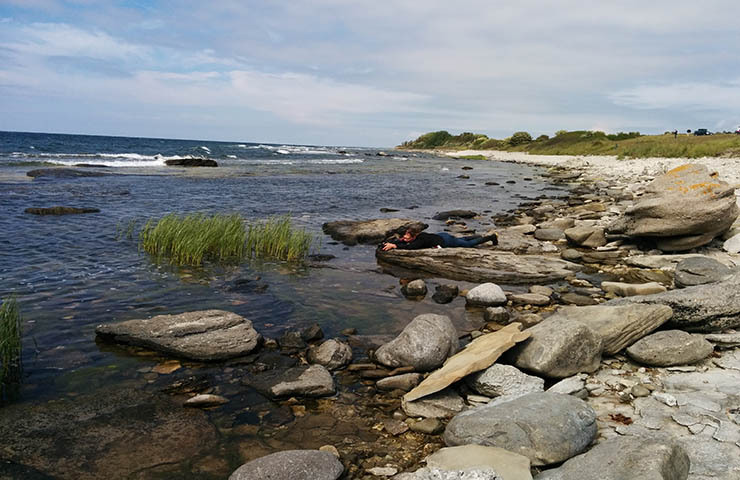 The premise for visiting Gotland was to explore how the relationships between humans and the environment, scientist and experimental animals could be re-thought and re-imagined through a focus on the aquatic snail Radix balthica. This is currently an emergent scientific model used to investigate climate change by Simon. Radix balthica was described and named by Carl Linnaeus (1707-78) from a type specimen sampled from the beach at Hoberg at the southern tip of Gotland . 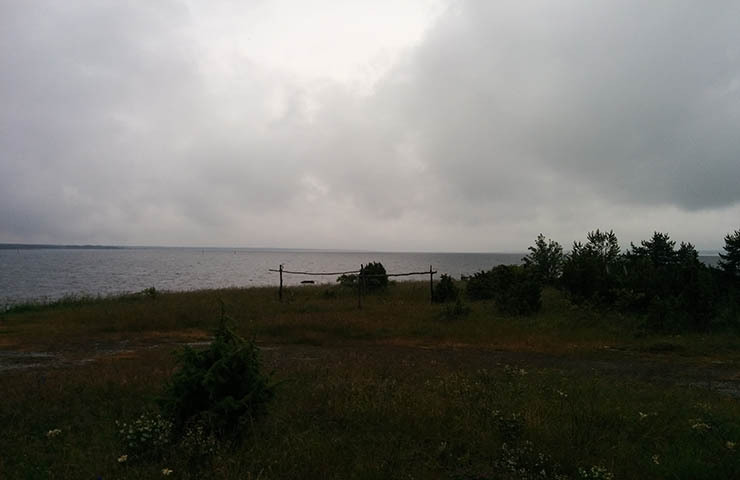 This location was one of the sites visited by the collaborators who re-traced parts of Linnaeus’s original journey making collections on the shore of the brackish Baltic Sea and from freshwater rivers and lakes. Simon, David and Deborah individually kept field notes of the trip as they respectively collected biological material. These are brought together without indication of individual authorship in the section of the booklet Field notes. The notes include sections from Linnaeus’ journal. The collection of biological specimens provided Simon the scientific rationale for a fieldtrip to Gotland; the more general intent was to consider the relationship between the controlled laboratory space where the offspring of animals collected in the field were part of scientific investigations, and their origins within the realm of ‘messy’ fieldwork. 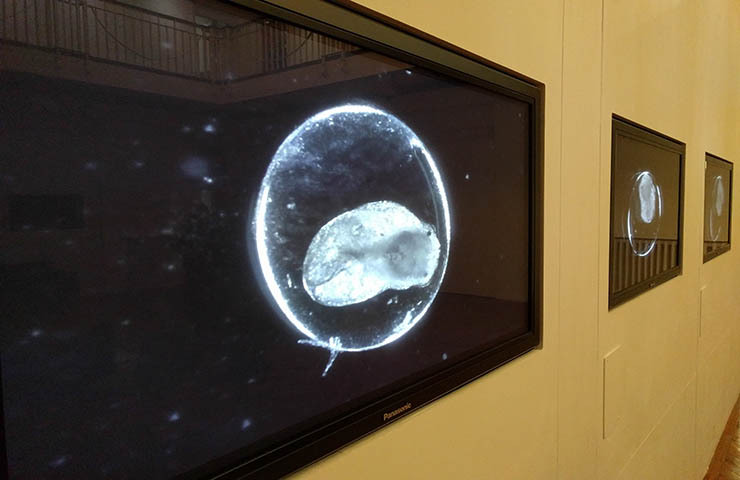 The processes of field collection and transportation are displayed in the gallery as film and sound alongside laboratory videos of the offspring from collected snails, for whom only a distant memory of the field remains. An artistic concept for the exhibition began to take shape when the researchers visited Närsholmen the location for Andrei Tarkovsky’s final film, Sacrifice. 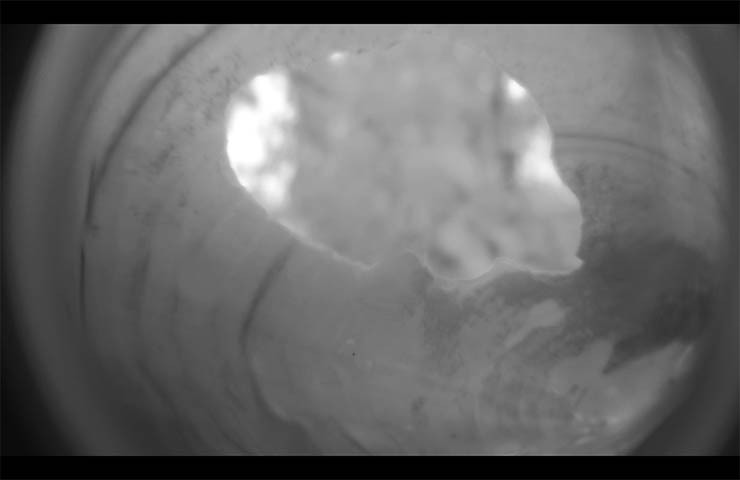 Tarkovsky’s approach to time in filmmaking is premised on slowness (to be expanded) and this approach influenced the filming undertaken during the field work and is also reflected in the videos created in scientific research on snail embryos. This slowness adds to the notion of a disconnect between the bodies of the snail embryos (from their origins in the field) and of the human researchers (from the laboratory). At the same time, the relationship between human and experimental animal is redefined through the use of a camera adapted for filming eggs and animals underwater: the bodies of the humans in a terrestrial field environment appear strange and out of place. Can this lead to questions regarding the idea of scientific ‘norms’ and human control over species and the environment. The bodies of snail embryos used in laboratory trials investigating the effects of climate change also add to the notion of Sacrifice. A gopro camera adapted for underwater scientific observation by the addition of a macro lens was used to create an artists film. 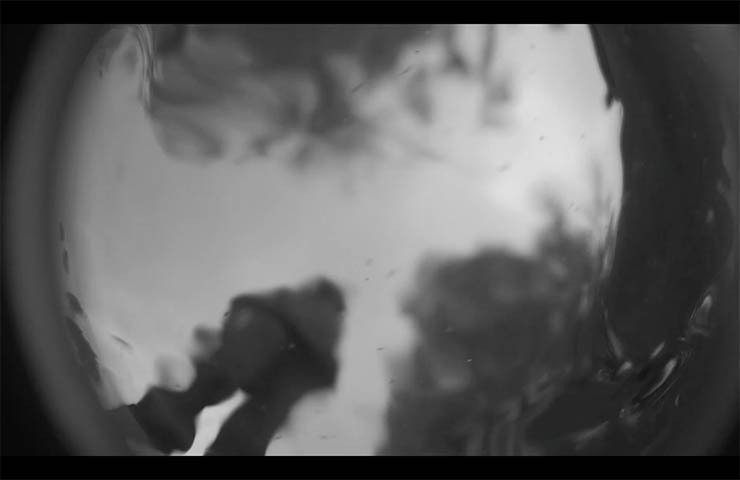 They adopted an experimental approach to the use of the camera that included shooting blind, and long durational shots that incorporate differing viewing points (not necessarily associated with human bodies and how they see, but rather, for example, looking up to the sky from underwater as waves break over the camera lens. The footage, mostly unedited, appears to be a witnessing field practices. 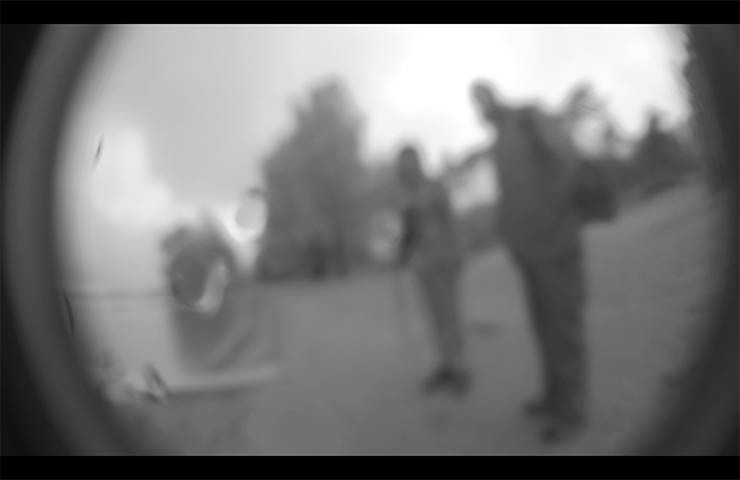 An effect achieved though avoiding the use of a lens within which to compose (ie select a subject and make aesthetic decisions), and also because the camera was sometimes handed around between the collaborators, this film appears to be witnessing fieldwork that is divorced from the obvious signifiers of authorship. (and this, in turn, hopefully, breaks from a theoretical habit to analyse artist’s film in relation to psychoanalytic or structural frameworks, shifting instead to the capture of performative and haptic processes of both filmmaking and fieldwork. Add Shifts to vibrational factors and transmission / sound. A macro lens used during filming creates a circular framing for the moving imagery such as is generally associated with observational technologies such as a microscope or binoculars. The actions of the researchers when captured in this way may suggest to the viewer that it is the researchers who are themselves are the subject of investigation. This circular form also echoes the form of the embryo egg sack on the multiple screens, a formal device that forges a relationship between films taken across different registers. In the artist’s film time is slowed. This reflects the temporal adjustment of the researchers who, whilst caught within the ozone rich atmosphere and brackish waters of the snail habitat , became caught within the sphere of influence of the bodies and environment of the snails that they sought. 10 Screens plus sound. Artists film is on large central screen: The opening: long shot (7 mins) of the approach to Nar 8 fimed from front of vehicle. Sound: gravel road recorded using contact mike on inside of wheel hub. (ref to Tarkovsky as we approach the location for sacrifice, plus homage to the long shot!) A very gradual fade leads to underwater. Meanwhile 9 flanking videos of the gotland offspring gradually appear over 4 mins, they are barely perceptible at first. 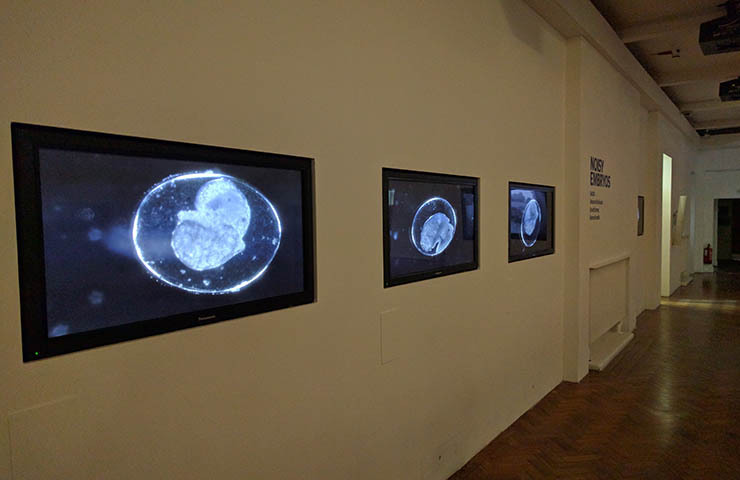 Artists film continues for 40 mins as embryos develop in real time. Timing within artists film is slowed to resonate with that of the embryos.